Knitted Wire Mesh | GarCo Manufacturing Co., Inc.
0.011-mil 304 Stainless Steel Wire Mesh, uncrimped. 30-in width. 0.011-mil 304 Stainless Steel Wire Mesh, crimped. 30-in width. 0.011-mil 304 Stainless Steel Wire Mesh, uncrimped. 42-in width. 0.011-mil 304 Stainless Steel Wire Mesh, crimped. 42-in width. 0.0098-mil 304 Stainless Steel Wire Mesh, uncrimped. 30-in width. 0.0098-mil 304 Stainless Steel Wire Mesh, uncrimped. 42-in width. 0.0095-mil 304 Stainless Steel Wire Mesh, crimped. 42-in width. 0.008-mil 304 Stainless Steel Wire Mesh, uncrimped. 30-in width. 0.008-mil 304 Stainless Steel Wire Mesh, crimped. 30-in width. 0.008-mil 304 Stainless Steel Wire Mesh, uncrimped. 42-in width. 0.008-mil 304 Stainless Steel Wire Mesh, crimped. 42-in width. Diameters ranging from 0.0035-in – 0.0350-in. 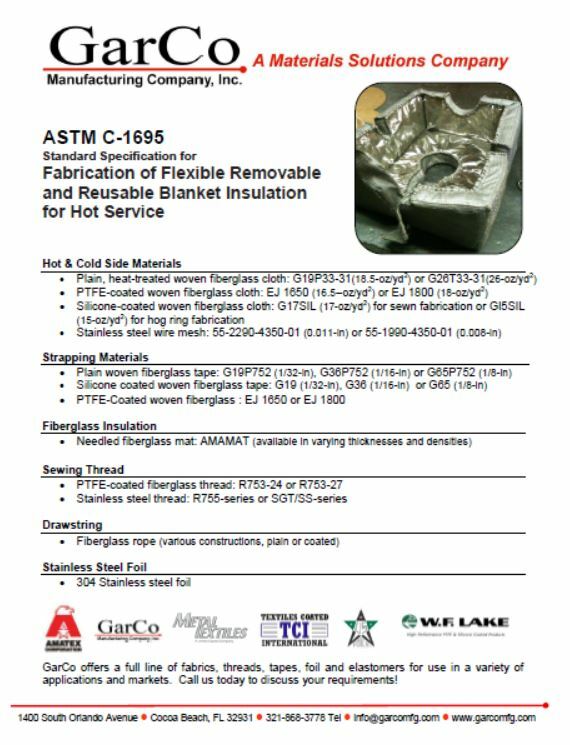 This entry was posted on February 12, 2014 by GarCoMfg in ASTM C-1695, Foil & Wire Mesh, Insulation, Metal Textiles and tagged 304, ASTM C-1695, Metal Textiles, Stainless Steel, Wire Mesh.